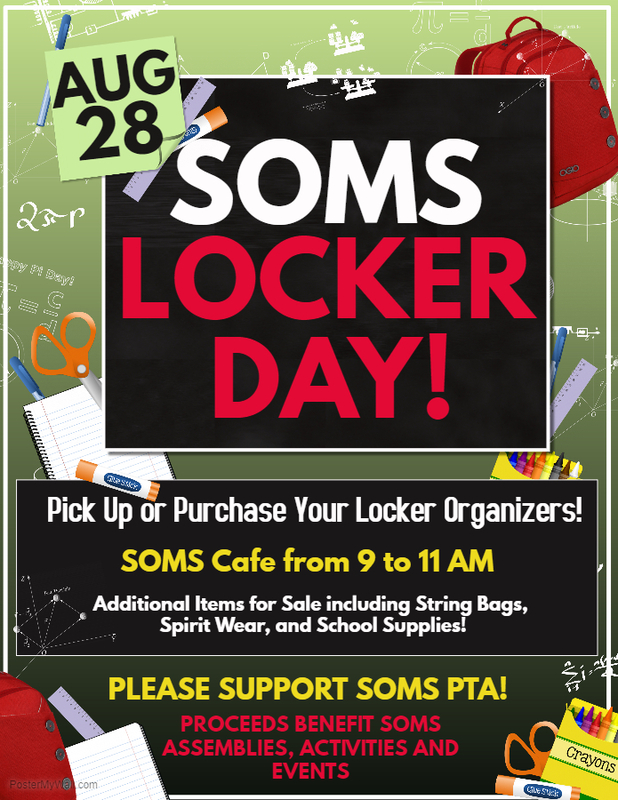 SOMS LOCKER DAY is Monday, Aug 28th! SOMS Locker Day will be held on Monday, Aug 28th for all incoming 6th Graders and new students. Don’t forget to stop by the cafeteria to pick up or purchase your Locker Organizer ($20.00 each).